Copper cookware looks attractive and easily conducts heat. High quality copper pots like the one shown here provide even heat when cooking, with a lining that protects the food from absorbing copper. 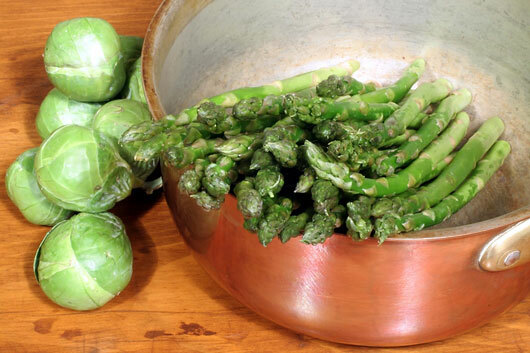 This lined, copper pot is perfect for cooking asparagus and brussel sprouts.